Today will be such a wonderful memory! 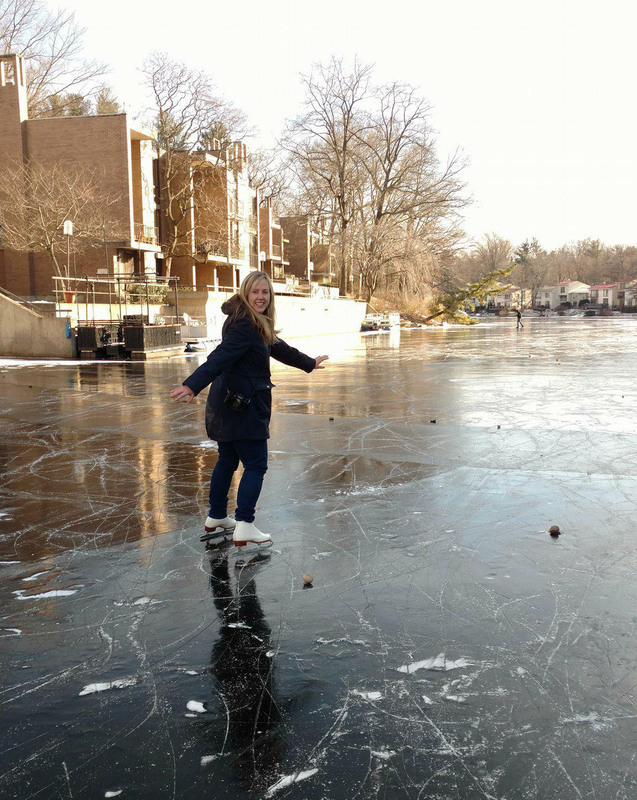 For the first time since we’ve lived here, the lake is frozen so thick that I got out my ice skates. I started out timidly, keeping close to the Plaza, just in case. Two hours later, I was exploring most of the lake, twirling, wandering, and zigzagging without any of the confines of a rink. I felt so free! 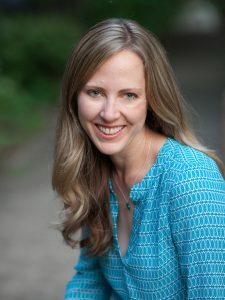 Thanks for the photo of me at such a happy moment, Melissa Romano! I’ve lived at Lake Anne for seven years, and I’ve never seen anything like this. 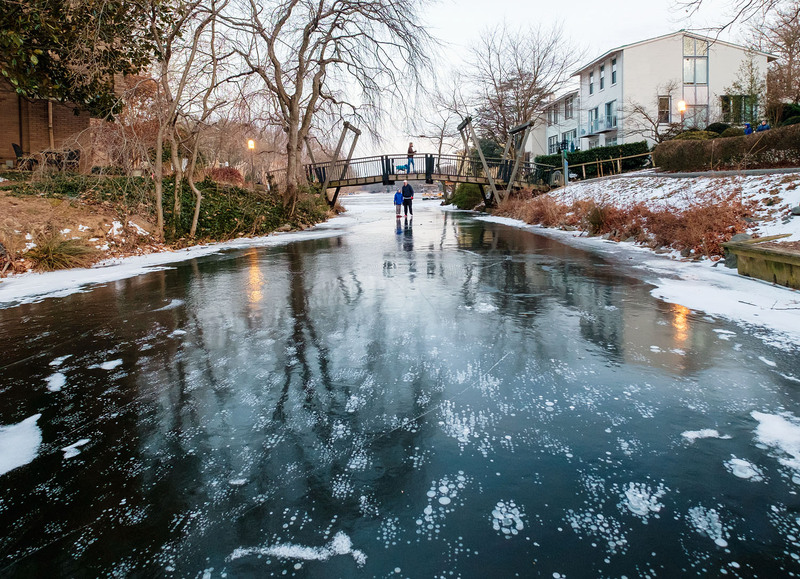 Sure, it freezes over during some winters, but rarely is the ice thick enough to walk on. The ice usually has big holes in it and is best observed from afar. Not this week. Right now it is frozen 6-8 inches thick, and is much more solid than I’ve ever seen it. I grinned from ear to ear as I twirled around the lake. After a brief break inside to get some circulation back in my feet and brain, I went back outside with my tripod for some twilight photos. My longtime readers will know that twilight is my favorite time for photos, and this was definitely a rare opportunity for some cool shots! It was bizarre and surreal to take an evening stroll on top of the lake. I walked directly across the lake, under the Van Gogh Bridge, and along the canal. 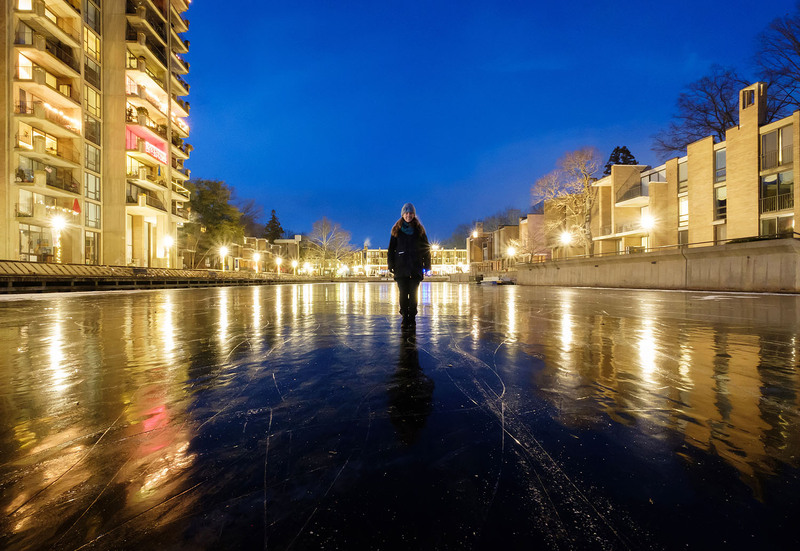 The canal was filled with fascinating layers of bubbles frozen in the thick ice. I stood there for a while, admiring the bubbles, when some fellow walkers entered the scene at a perfect time. 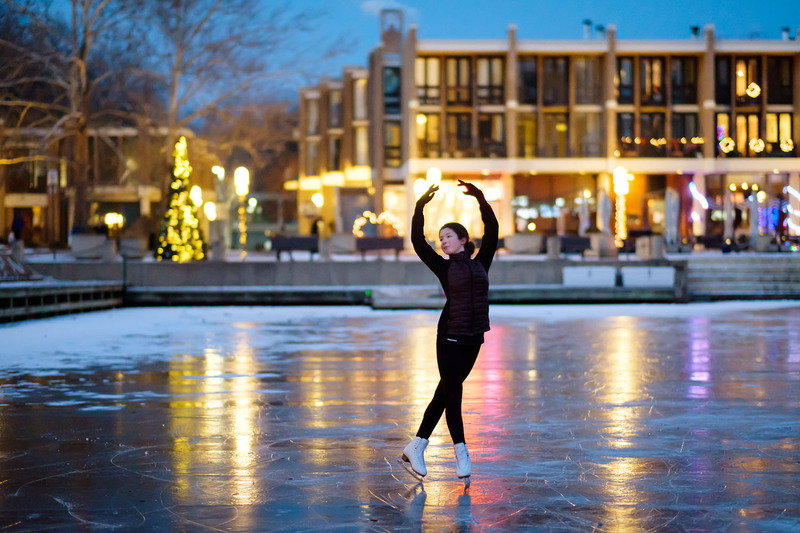 I walked on to the Plaza, where I was delighted to discover a figure skater twirling around. 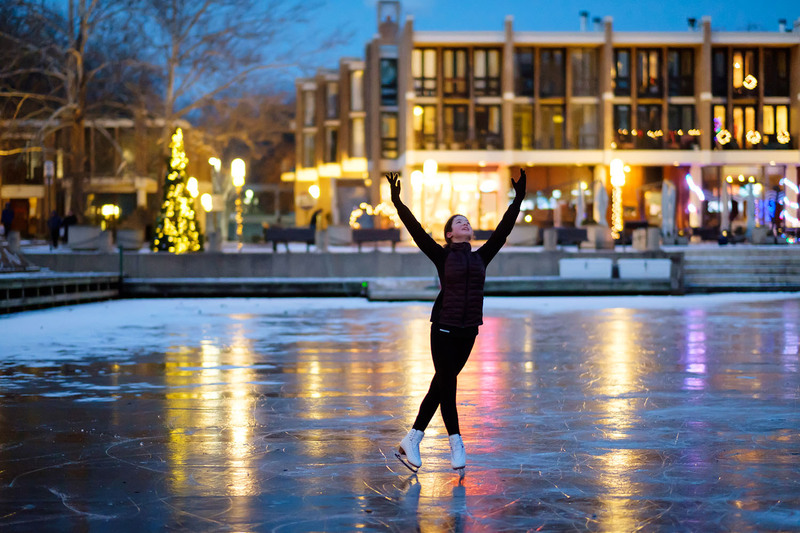 I introduced myself to her, and learned that she’s a fifteen-year-old skater named Maria who was out on the ice for the first time. She and her dad gave me permission to take photos, much to my excitement. 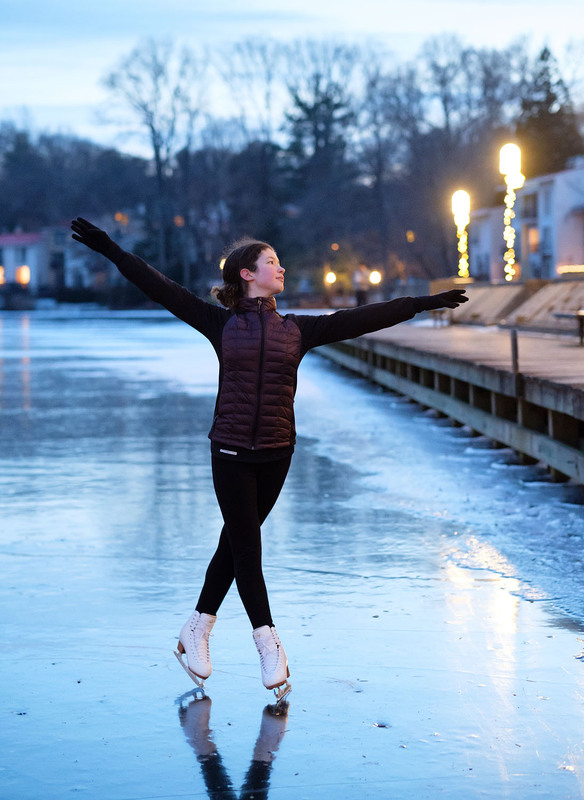 A figure skater on the water in Lake Anne Plaza! Amazing! But by this point it was really dark out, and I hadn’t expected to be taking portraits or action photos, so I was woefully ill-equipped for this amazing experience. Fortunately my Fuji xt-2 has beautiful image quality at high ISO, so I lined her up with the background lights and made it work. Beautiful. I said goodbye to Maria and started to head back home. I turned around to admire the scene one last time, and marveled at the eerie sight of people walking to the Plaza on top of the water. Remember that this is my backyard, and I see it every day, and it NEVER looks like this. Phenomenal. The result: I love it. And I loved this whole day. I’ll be talking about this day for years to come.